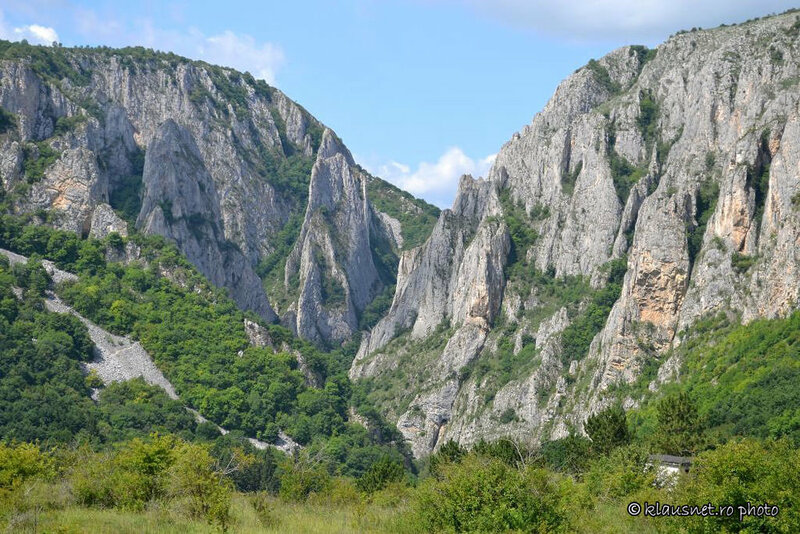 Turda Gorge (Cheile Turzii) is at one hour drive from Alba Iulia and could be the perfect destination for those who appreciate the mountain, the fresh air or a day walk. Some say it's the perfect weekend destination. Others say you shouldn't go on a Sunday because it's the busiest time. Let them agree to disagree while you prepare the backpack and start the journey. But before you hit the road, be sure you packed a pair of proper (not slippery) shoes and don't forget to bring the camera because you will be impressed with the work that a river did inside a mountain in hundreds of millions of years. Turda Gorge is a protected nature reserve in Transylvania with awesome landscapes and high chances to reconnect its visitor with the nature. At first sight you will see two rocky massifs, which were once one and which were separated by erosion of Jurassic limestone rock by river. You will find here a wild karst panorama, with high cliffs and steep with sharp ridges, rock towers, long paths for walk, climbing routes, hiking trails and dozens of caves, almost all of them of small size. The longest one is 120 meters. Various competitions of climbing and hiking are held annually here. Depending on the weather conditions, you have also the possibility of practicing paragliding. The Gorge is a complex geological, biological and archaeological preserve. Many of the caves were inhabited by prehistoric man since the neolithic. This small and wild canyon has a unique fauna and flora. More than 1000 plant and animal species (some of them rare or endangered, like wild garlic and eagle rock), birds, butterflies, fish, amphibians and some mammals (foxes, weasels, martens) live here. Turda Gorge is accessible for all age tourists, adults and children, but it would be fair to mention that it is not very accessible for persons with disabilities because a few places require some effort and constant attention in passing the way. There are areas where you just enjoy the walking near the water, hearing always its flow, but there are also portions of the path where you have to keep holding to the metal string attached to the stone wall. 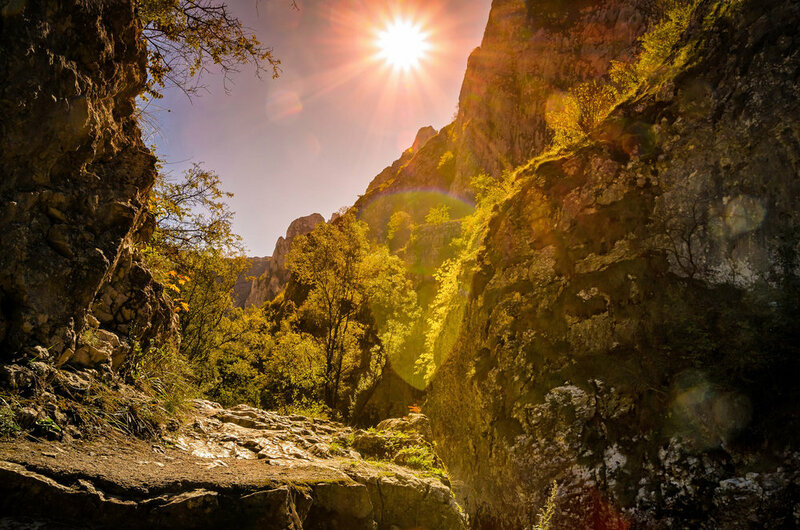 Turda Gorge has more than you can wish for: an accessible footpath, a small river, a canyon, some caves, climbing rocks, spots where you can have a picnic by the river and best of all, a particularly spectacular via ferrata route. That`s why it is an excellent place to spend a few hours without getting bored, to get tired and relax. Alone or together with family and friends.